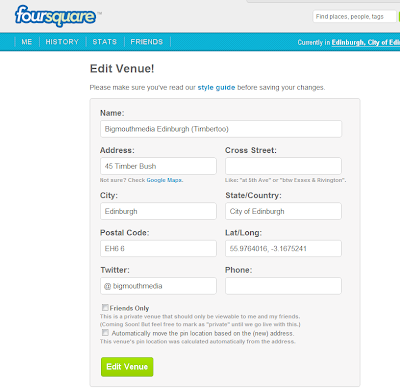 Ever wanted to have a private venue on Foursquare? I see lots of locations that should be private but people have created anyway. For example, you might see "James' house" as a location, or "My desk", and know that's really not a check-in venue suitable for everyone. Foursquare will introduce private venues to cope with this. The feature isn't live yet but it's coming. 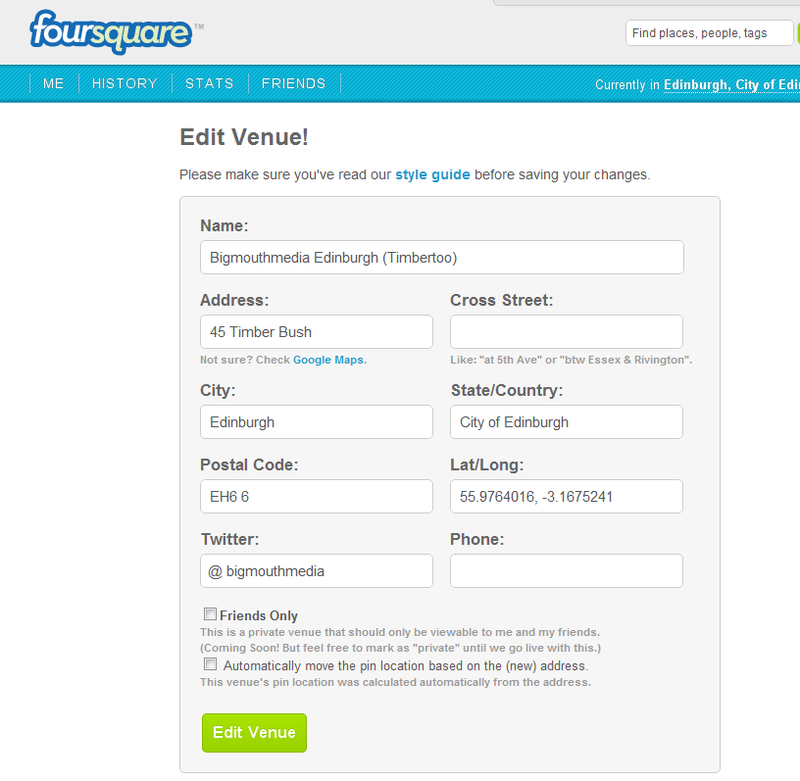 To access it now, and pre-mark locations as private, all you need to do is use the web interface to edit the venue details. Only your friends will be able to see the location. At least, that's the published intent.